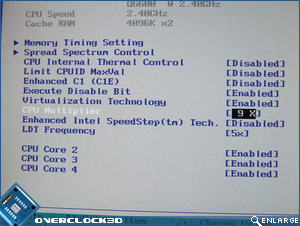 Unlike most of Asus' Intel chipset based boards we've reviewed recently, the Striker II makes use of an American Megatrends (AMI) BIOS. 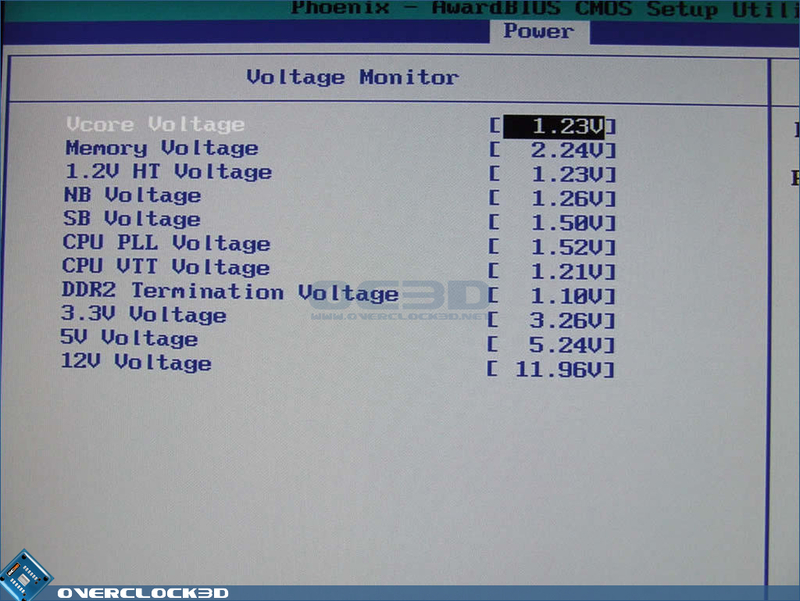 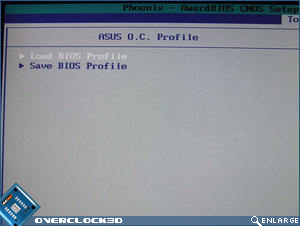 Having had very little experience with this type of BIOS in the past it will certainly be interesting to see how it differs from the Phoenix and Award BIOS's used by most other motherboards. 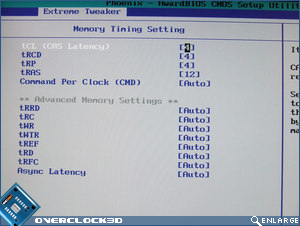 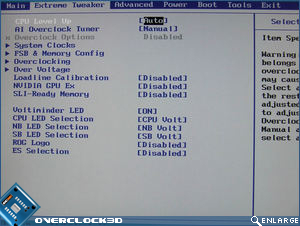 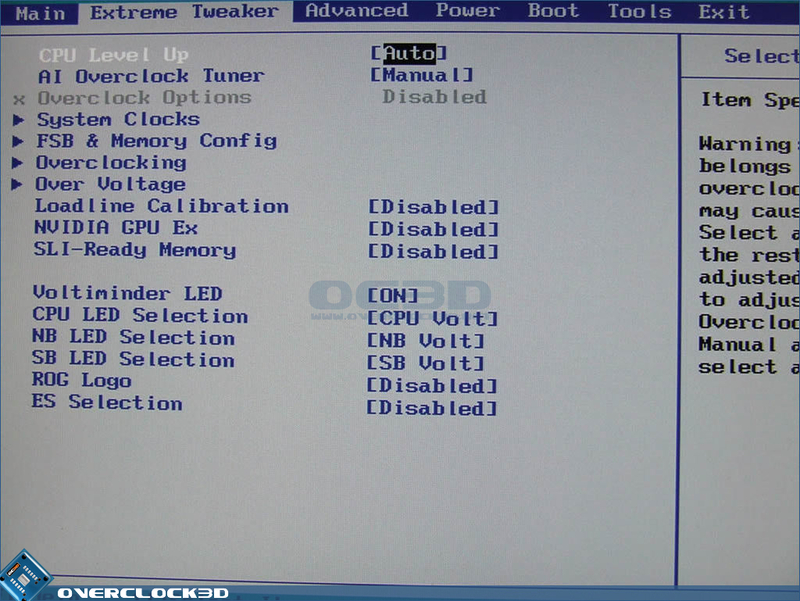 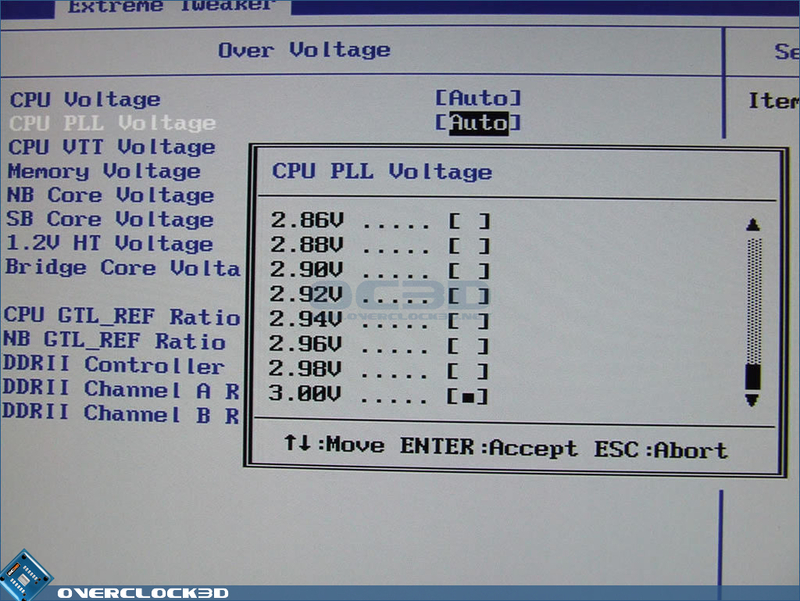 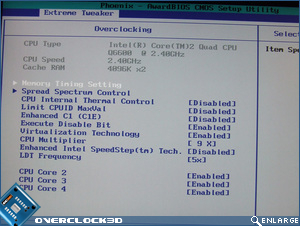 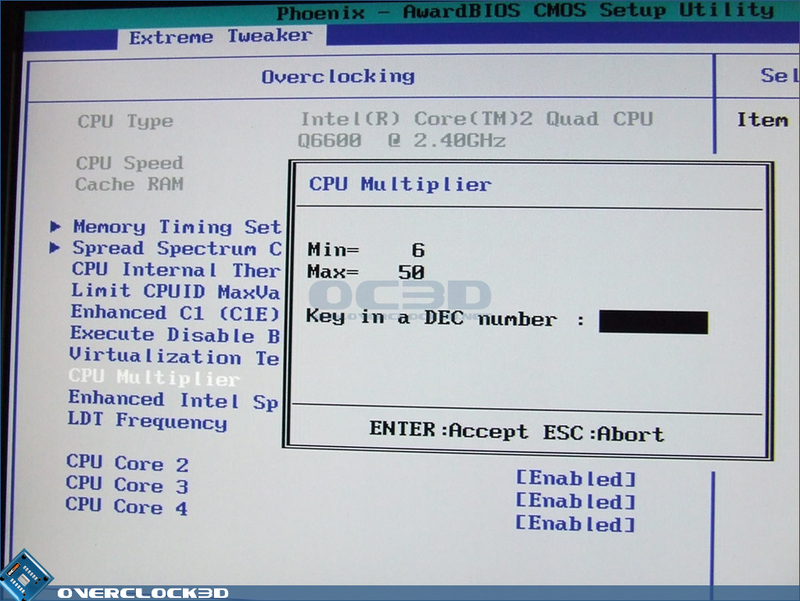 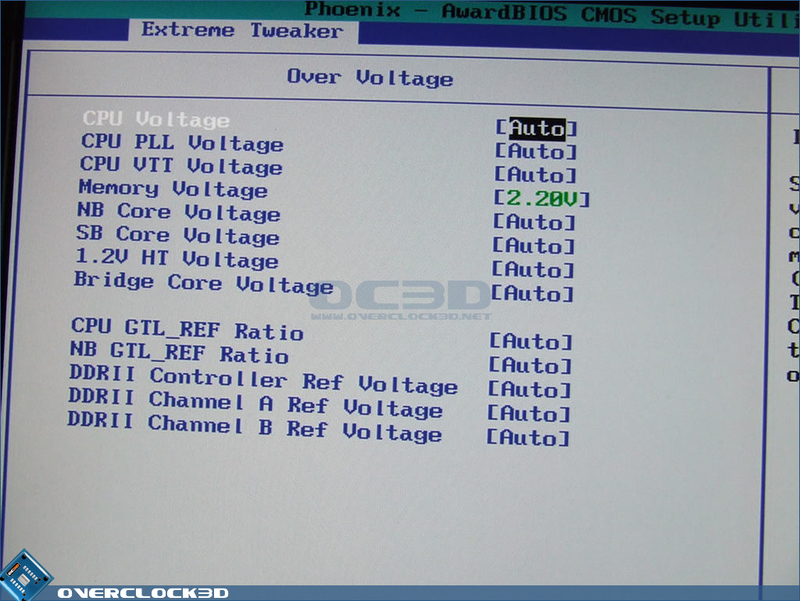 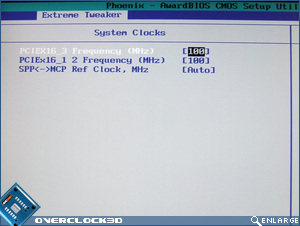 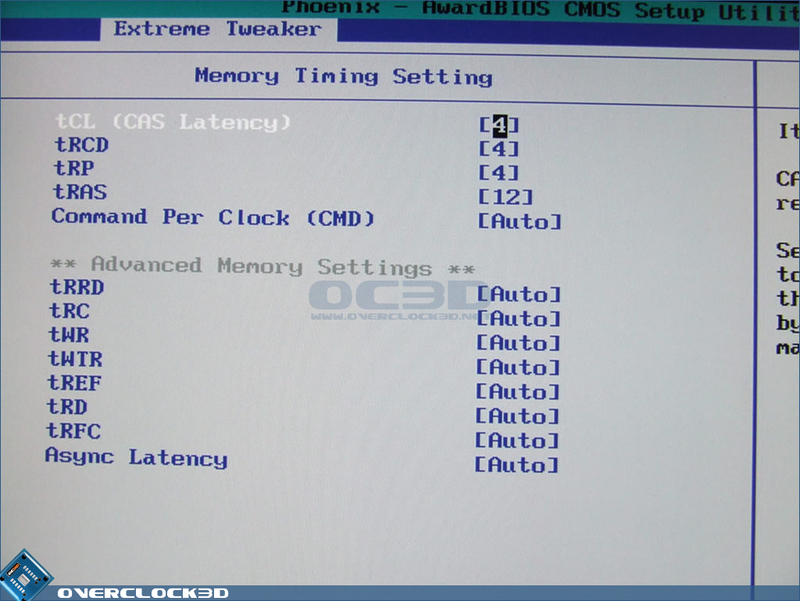 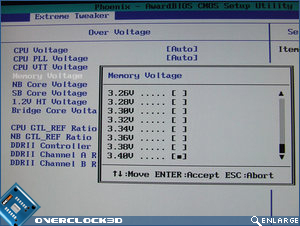 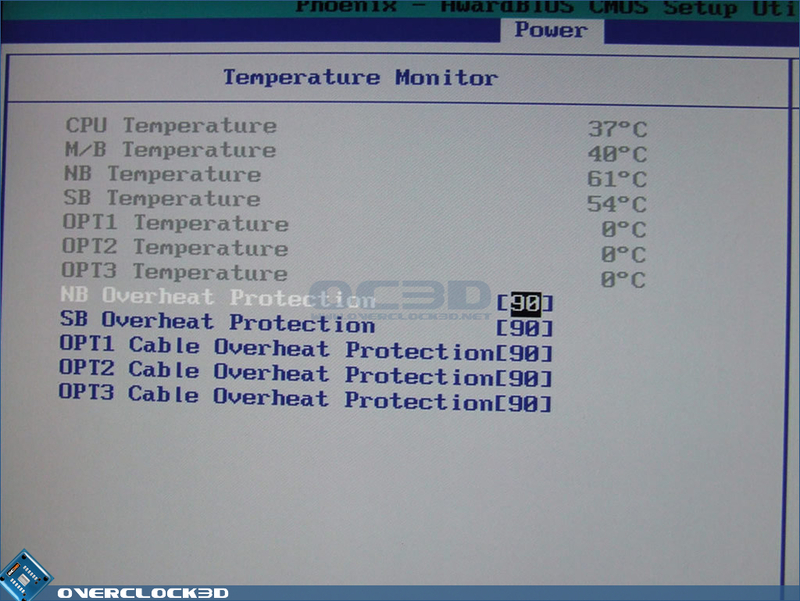 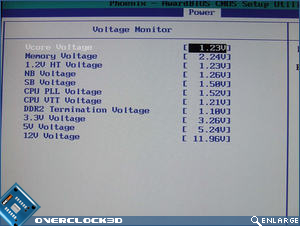 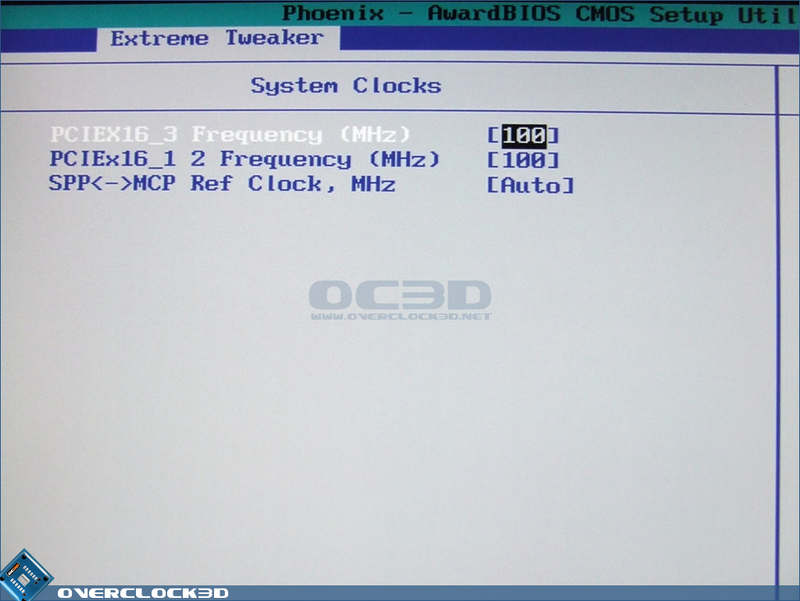 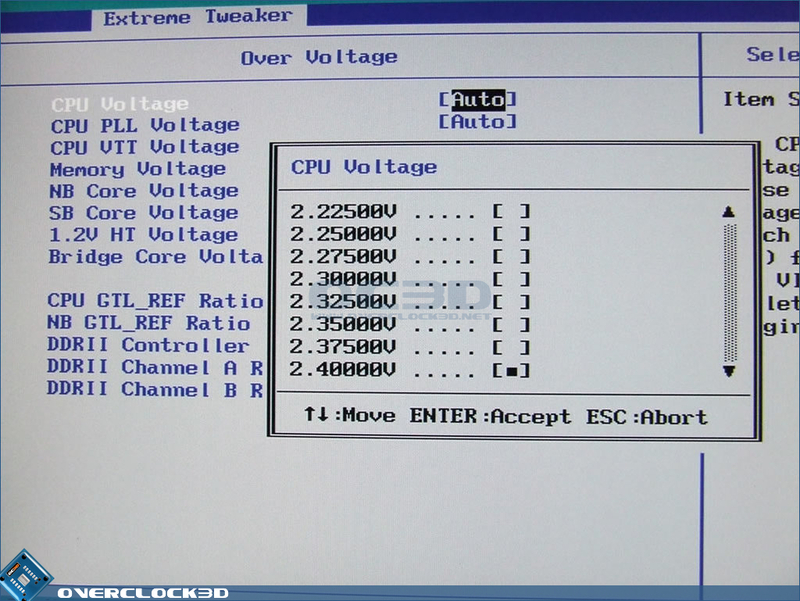 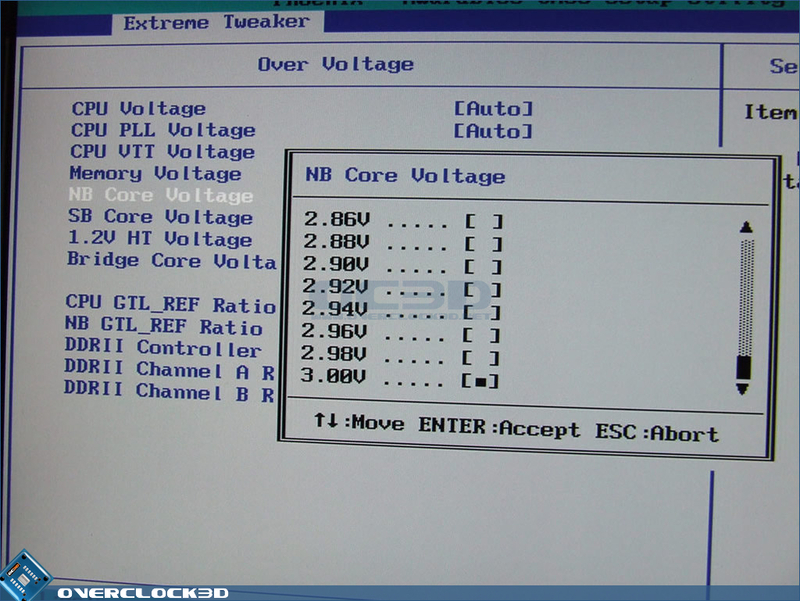 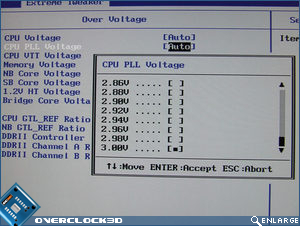 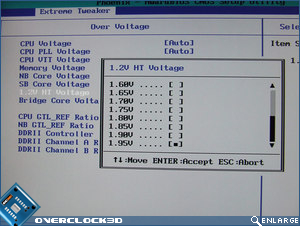 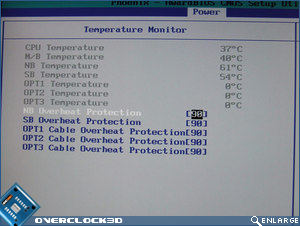 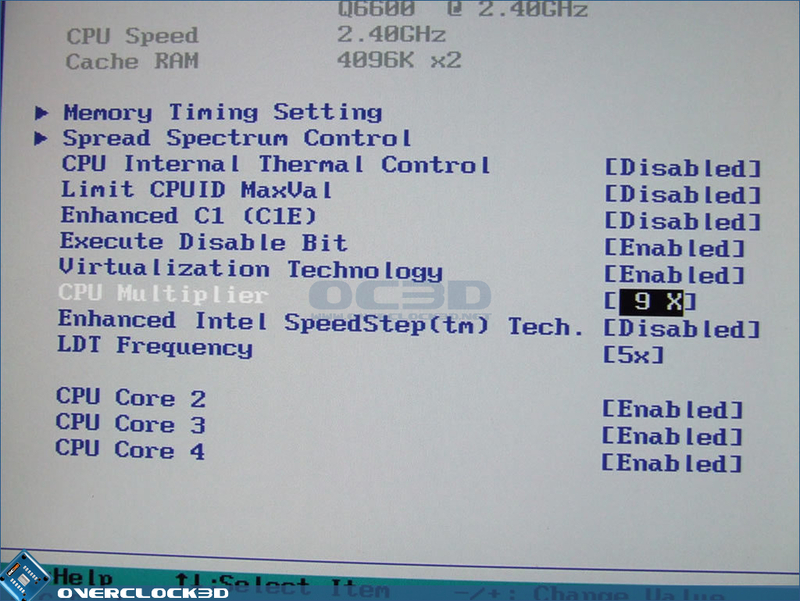 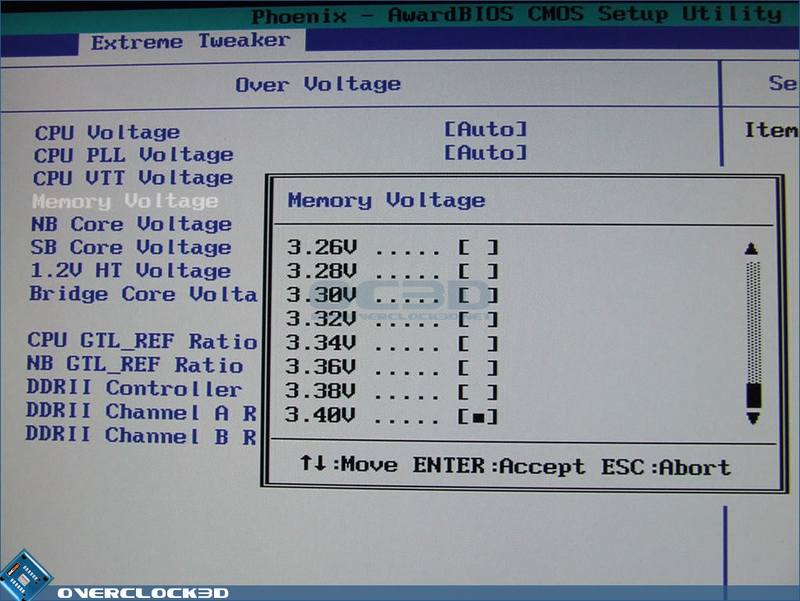 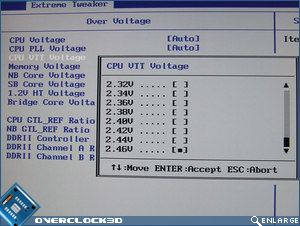 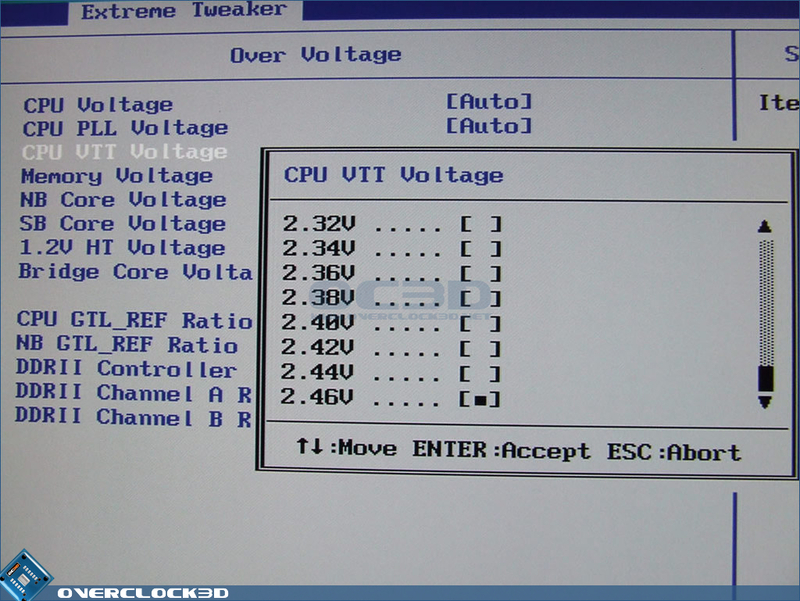 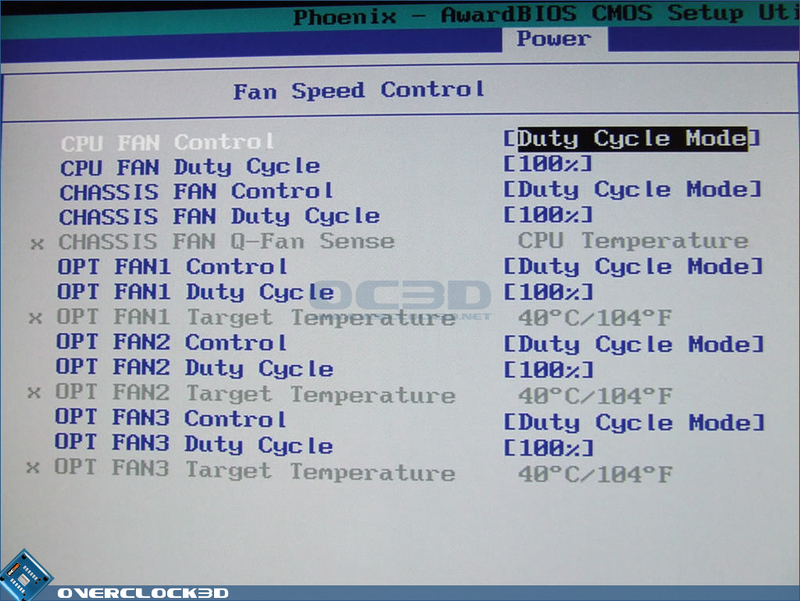 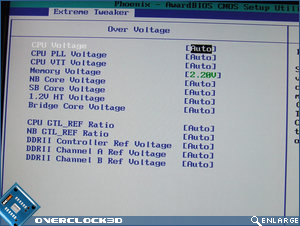 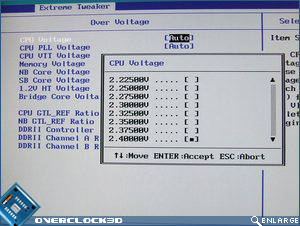 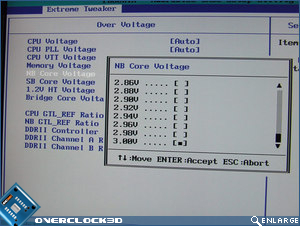 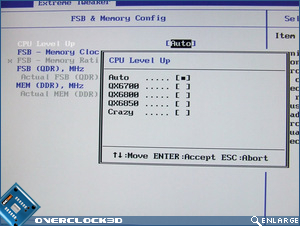 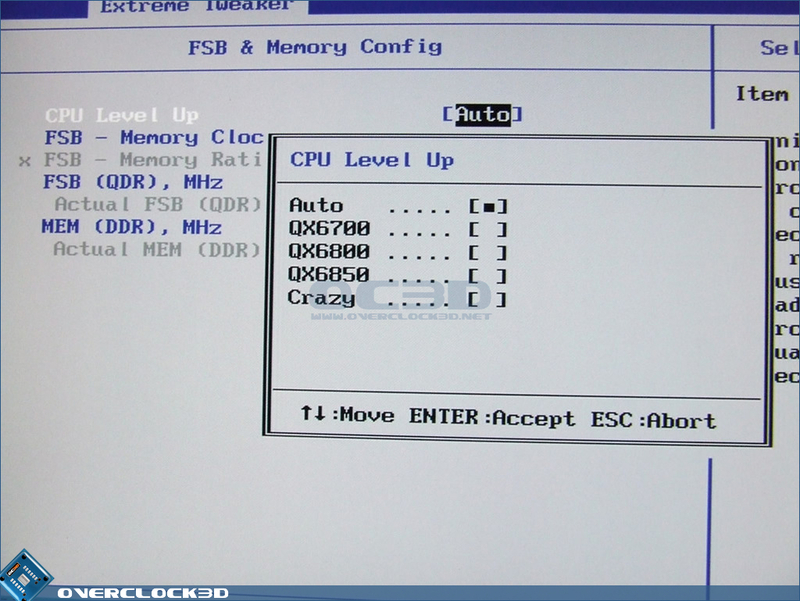 The "Extreme Tweaker" section of the BIOS is where you'll find most of the overclocking related options. 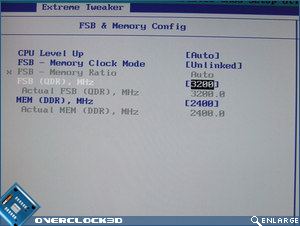 Settings such as CPU multiplier, FSB/NB Strap, FSB Frequency, Memory Frequency, Memory Timings and Transaction Booster can all be adjusted in the various subsections of this page. 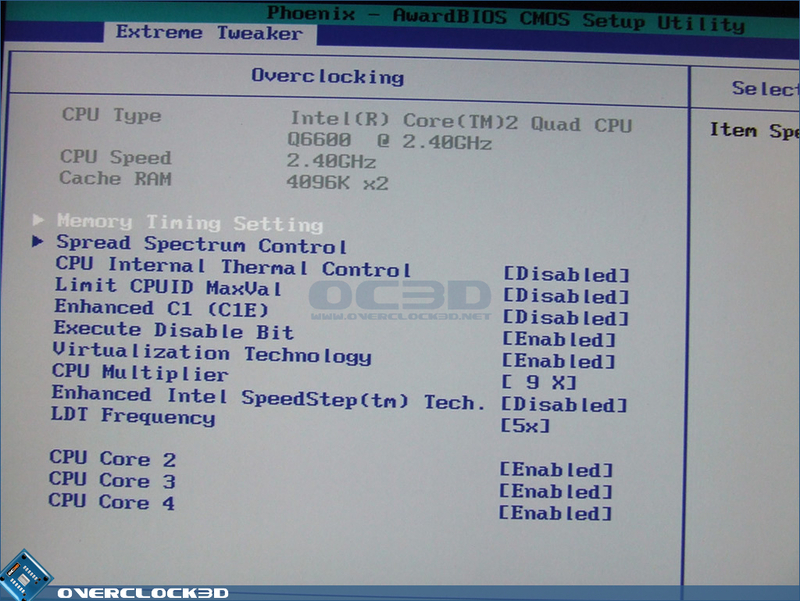 Asus have also included a feature called "CPU Level Up" on the Striker II Formula. 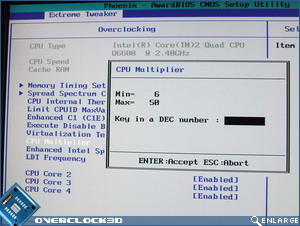 This essentially allows you to pick a new model of processor from the list and the BIOS will automatically adjust the frequency/multiplier settings to bring your existing processor up to the speed of the chosen one. 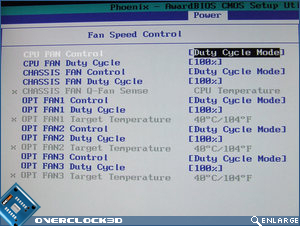 This is certainly a good idea for people without previous overclocking experience, or those who are just after a quick bump in speed without getting their hands dirty. 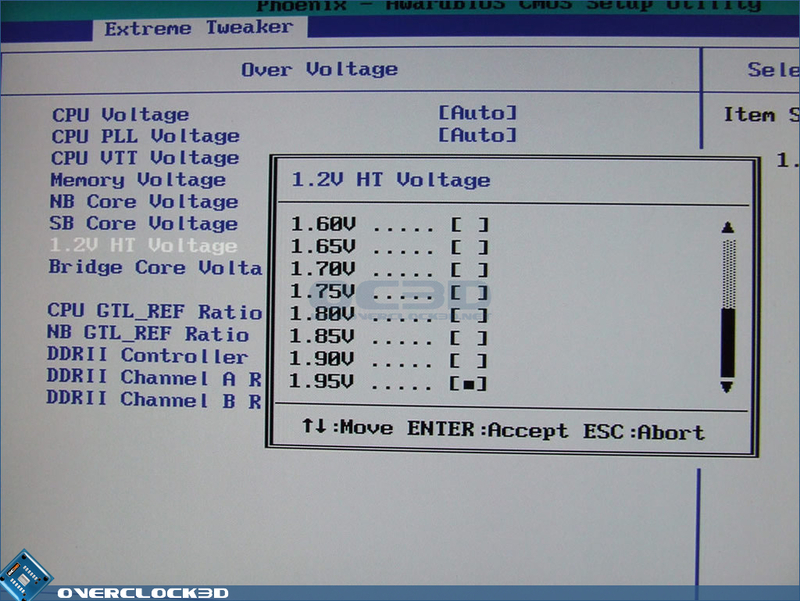 With so many of these voltage options clearly being dangerous to the health of hardware, Asus have gone to the trouble of placing LED's at various points on the motherboard (CPU, Northbridge, Southbridge, DRAM Slots) that change from green to orange to red depending on how much voltage you are putting through the components. 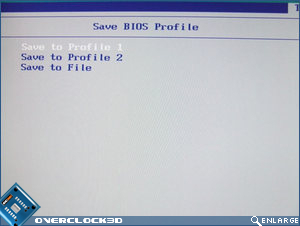 Having such an extensive range of options available in the BIOS the last thing you want to do is lose your configuration once you've found the sweet spot for your overclock. 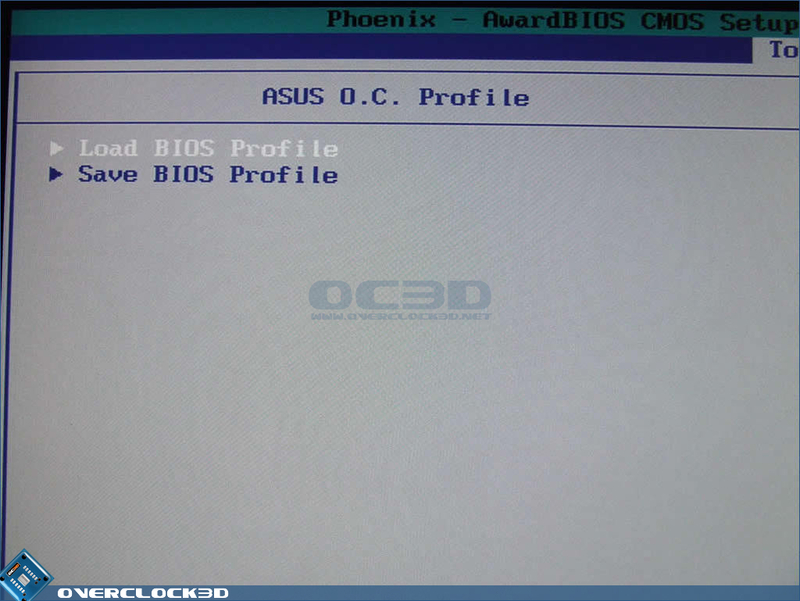 This is where the Asus O.C Profile comes in to play. 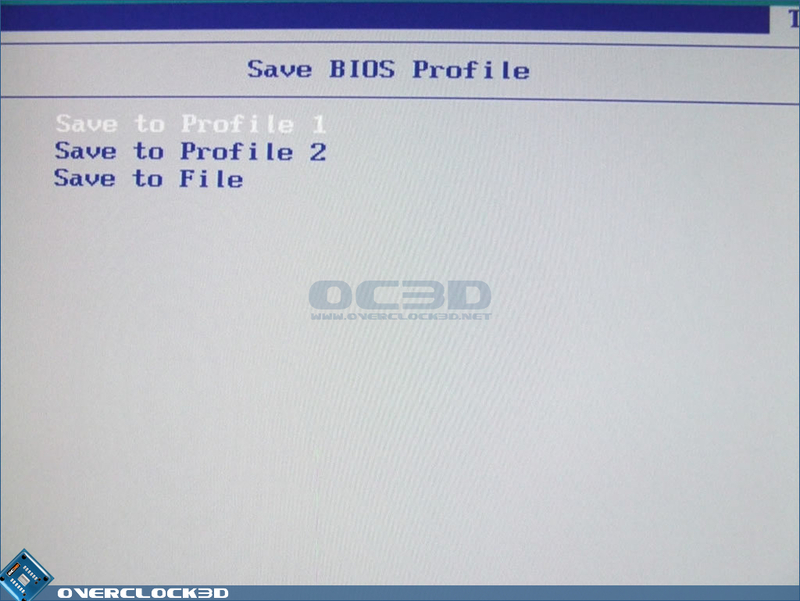 Allowing you to save all of your BIOS settings to one of two available profiles in the CMOS or to an external storage device, your settings can then be restored easily at a later date. 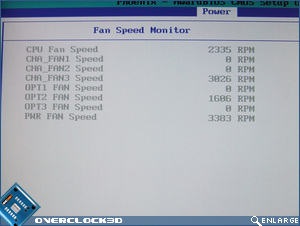 As with the rest of the ROG lineup, Asus have furnished the Striker II with an excellent voltage, temperature and fan speed monitoring system.Fans can be switched on/off at user-defined temperatures or run at percentages of their full speed all from within the BIOS and without the need for any additional software. 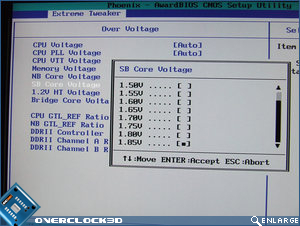 Awesome review as usual Jim. 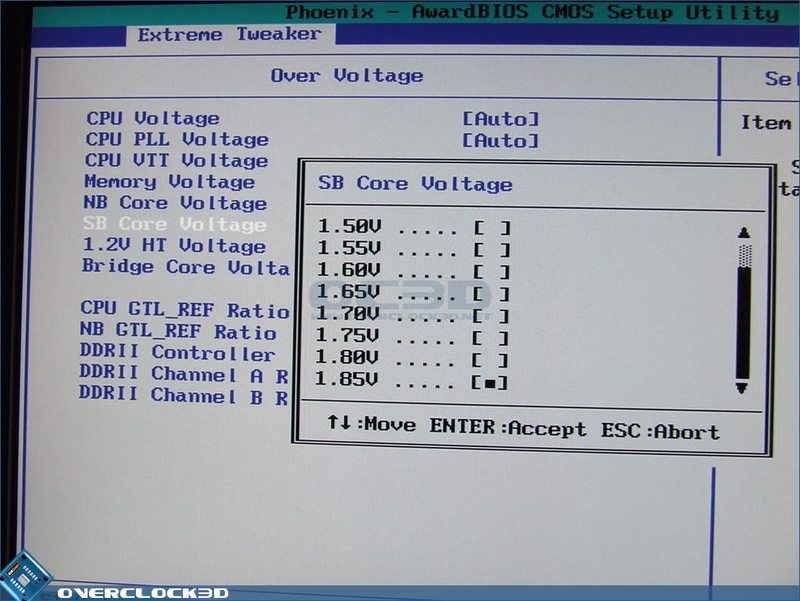 Cheers guys. 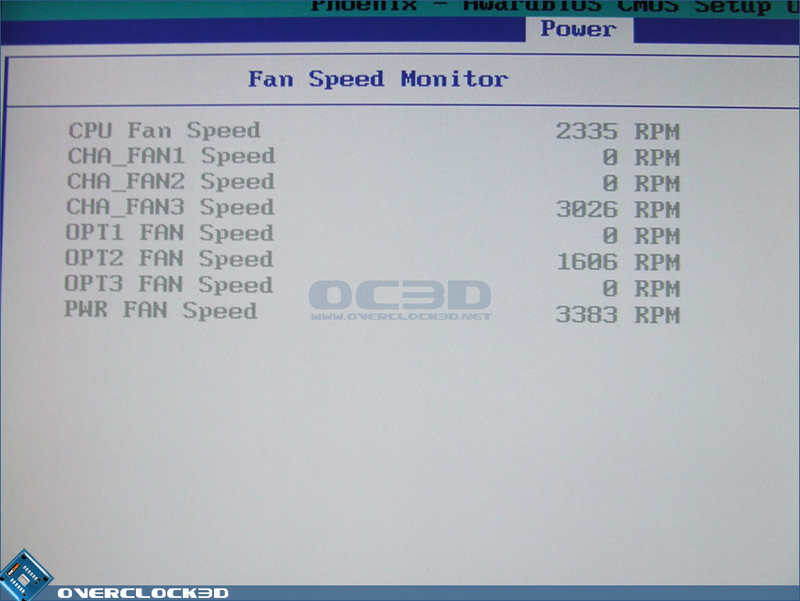 Yeah the cooling isn't the best looking or performing tbh. 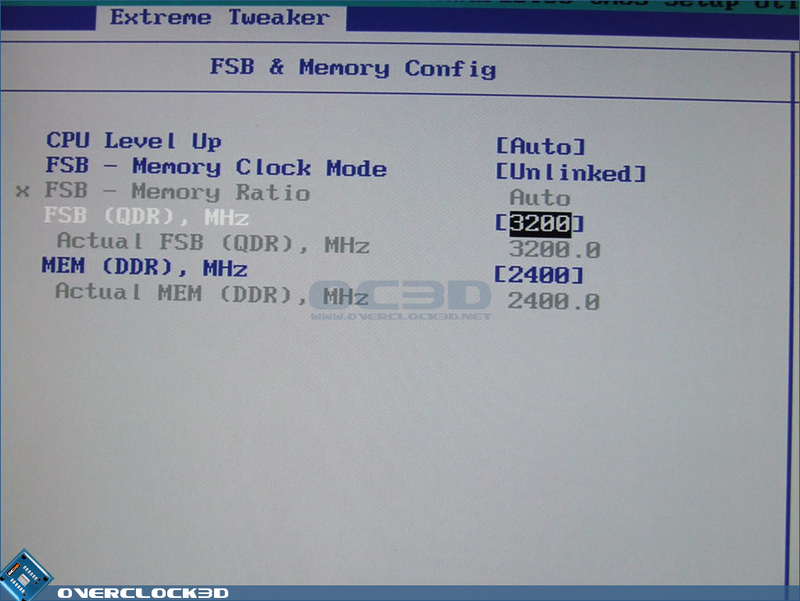 oooohhh a pci-e 2.0 with ddr3, sounds good.